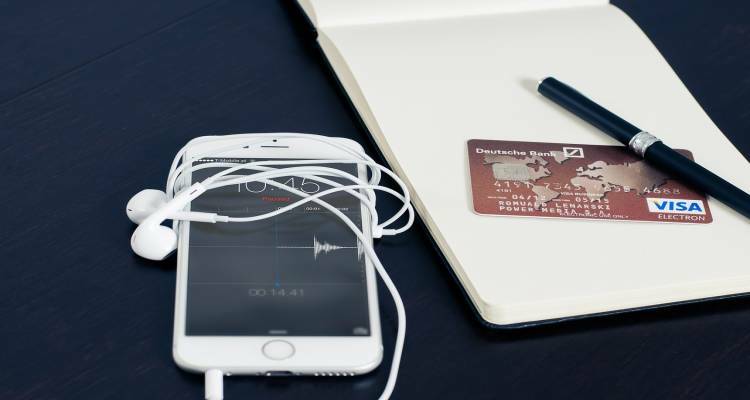 Mobile payments innovations in 2018: what can we expect? Mobile payments in 2018: what can we expect? Mobile payments are becoming more and more important, not only for online shopping, but offline as well. Customers almost effortlessly accept payment innovations. Companies, on the other hand, are still more reserved. Do consumers really want all sorts of new payment methods? Is it worth the investment? And can I implement them in my company? In this article, we’ll take you through some of the latest developments in mobile payments. To begin with the last question, almost all mobile payment methods can easily be implemented, even by the smallest companies and sometimes even free of charge. From the most elegant restaurant in the city to the local bakery in the village: the consumer expects to be able to pay with the same ease, using the latest payment methods, wherever they are. But what exactly does that expectation mean? If you think the QR code has passed, you are mistaken. The QR code is back. And at the highest level. As the Dutch website Marketingfacts already quotes, this code is a must-have for big companies in every marketing strategy. Following the footsteps of China and South Africa, payments by the well-known QR code in also emerging in Europe, starting with the Netherlands and Belgium. Think of QR codes on the bill of a restaurant after a night out with friends, on the flyer of a charity event or at the ticket shop of a festival. By simply scanning the QR code with the mobile phone, the consumer enters the familiar online banking environment (iDEAL or Bancontact). By following the usual steps, the consumer pays securely and quickly, without the need of his wallet. More and more consumers are expecting this form of payment, as a result of which more and more companies are now embracing the iDEAL QR. Same as Gastrobar Floor, who successfully tested the iDEAL QR together with CM. No doubt you’ve heard about the mobile wallet before: a safe and user-friendly way to pay with a mobile phone. Apple Pay, Samsung Pay and Android Pay for example, but also the mobile wallet from ING. This is another easy method that makes it unnecessary to have cash or a debit card on hand. The mobile phone, which customers always carry with them, makes paying even easier. Enabling mobile payments both offline (PIN terminal) or online (enable wallets) is thus yet another way to make it easier for customers to spend money. Finally, single channel solutions are becoming more popular. As more and more ways are offered to make mobile payments easier for consumers, the consumer's expectations also increase in order to do business with the greatest convenience. This means, for example, that consumers can now easily contact companies through the channels they use every day. But if you talk to consumers via Facebook Messenger and Telegram, why should they have to go to another platform to make a payment? That will be past tense in 2018. Smart integration of the possibilities in your strategy, such as customer contact, but also rich functionalities such as sending media files like boarding passes and mobile payments, ensure that you offer your customers the convenience and security they expect in 2018. Would you like to know more about the possibilities for mobile payments via the CM platform? Read more about the mobile solutions for payments or contact us for a tailored advice for your company and your customers. The festival season will soon begin and thousands consumers are using their mobile phone to search for the events they can’t miss. Consumers want to be able to order, pay and receive their tickets directly via the same route. Online visitor registration with the mobile phone can make life of both visitor and event organiser much easier. Integrating the right payment solutions can greatly improve the success of your web shop. By offering those payment methods your customers want to use, you'll make sure they don't have a reason to cancel their purchase in this last step in the funnel. Choosing the right methods means that you have to know your customer, especially if you have customers in multiple countries. In spite of what some may have predicted, mobile use keeps increasing fast. According to Statista, the number of mobile phone users worldwide is to grow to 4.77 billion in 2017. Therefore, mobile messaging has become the primary tool for many marketers to reach consumers. However, as technology keeps evolving in a fast pace, so do the expectations of mobile users. If you want to keep meeting those expectations, you’d better be aware of the trends in mobile. The MoneyConf panel 'Transparency and the true democratisation of finance' put TransferWise and Goldman Sachs face-to-face: The old bank versus the disrupting fintech company. Leading question: How can fintech always be cheaper in servicing customers? The million-dollar question in successful and engaging wearables: Are brands ready for the data that come out of the wearables and apps used by people. And more important: how to keep your audience from abandoning your device? The Dutch airline KLM has presented its new, more personalised smartphone app at Mobile Convention Amsterdam Thursday. The app comes with a set of API’s through which developers can work on it too.